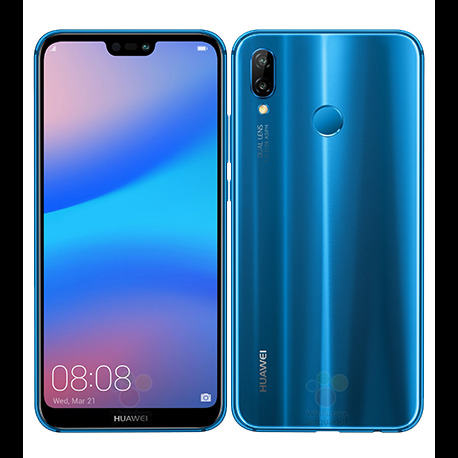 Huawei P20 Lite With 5.84-inch FHD+ 19:9 FullView display Launched. P20 Lite is a stripped version of Huawei P20 Pro which is a premium version and the best camera phone in 2018 as at the time the information was released. The P20 Lite comes with a 5.84-inch FHD+ 19:9 screen with a notch, Powered by Kirin 659 processor. There is 4GB of Ram + 64GB onboard memory with support for upto 256GB microSD card. 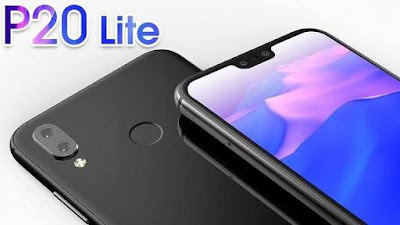 Huawei P20 Lite runs Android 8.0 Oreo out of the box with EMUI 8.0 and has a 16-megapixel rear camera along with a 2-megapixel portrait shots. It also comes with a 24 megapixel front facing camera with face beauty feature. You will agree with me that this is a far cry from the triple 40MP camera found on the P20 Pro. There is a huge difference between the two smartphones. It has a rear mounted fingerprint sensor ID h as well as a 3000mAh battery capacity with support for fast charging. For pricing and availability, the Huawei P20 Lite will be available first on Amazon at the price of $302 and if you are buying it in Nigeria, it will cost you about N108,000. You can also get it in the Indian market. Memory: 4GB Ram + 64GB onboard storage expandable with upto 256GB external microSD card.